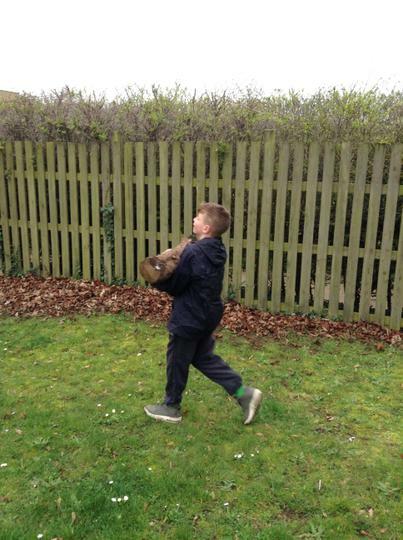 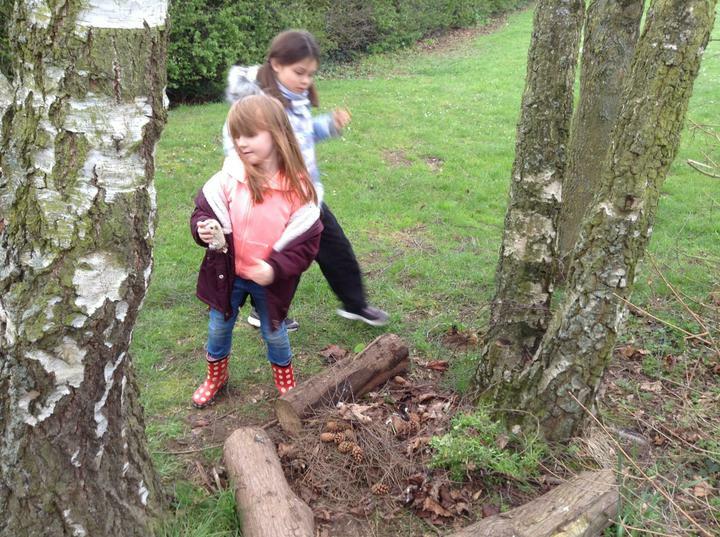 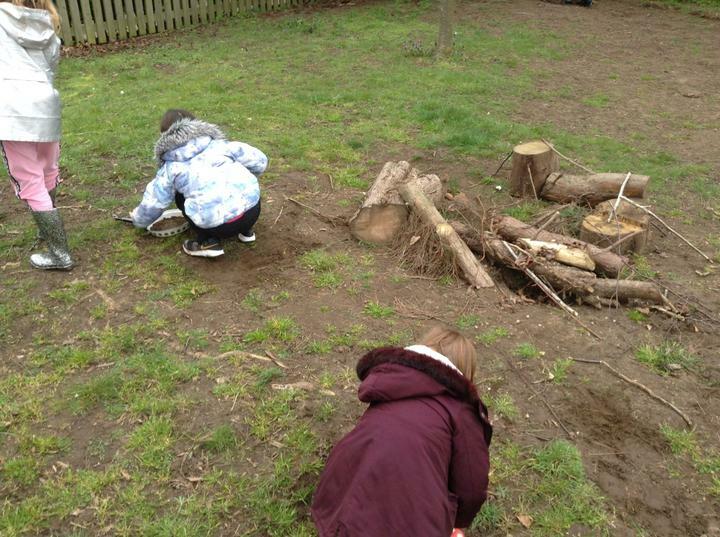 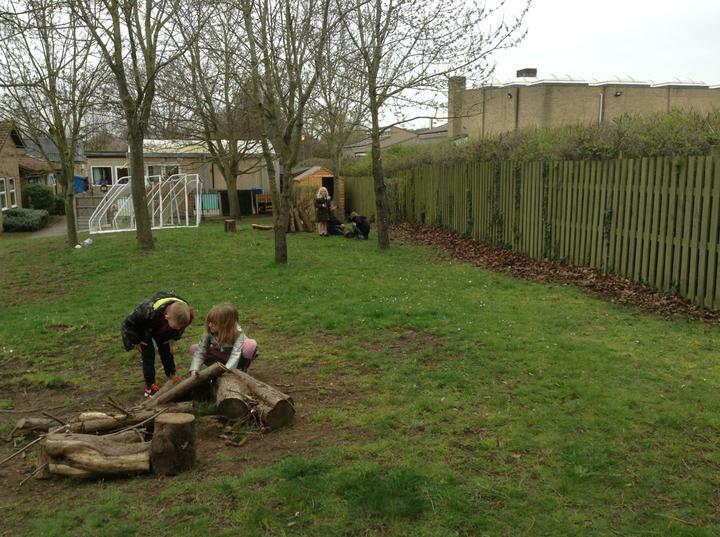 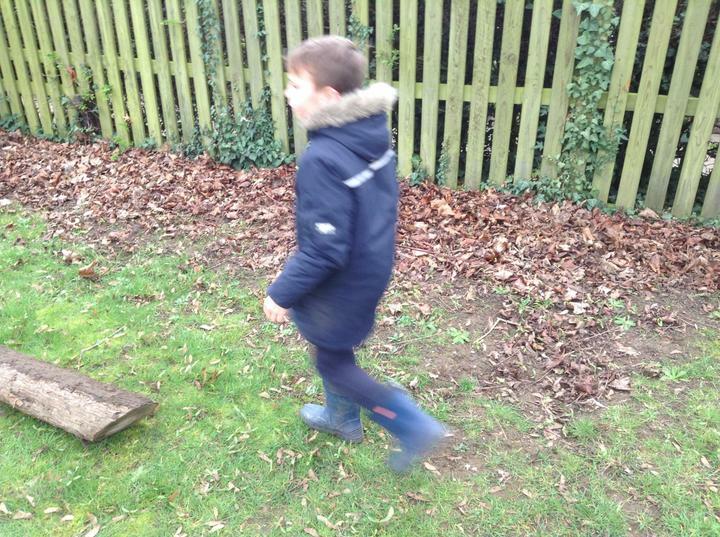 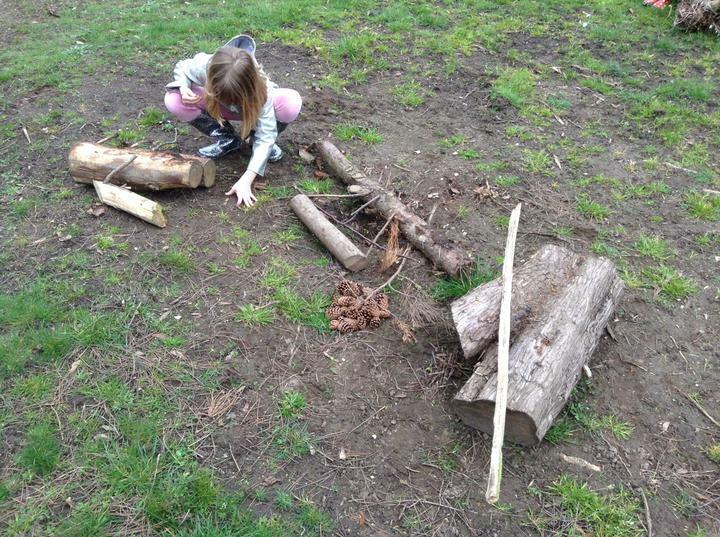 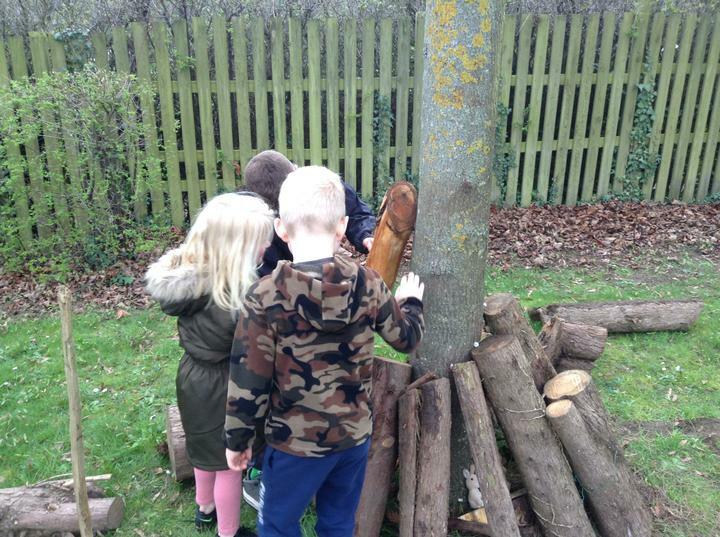 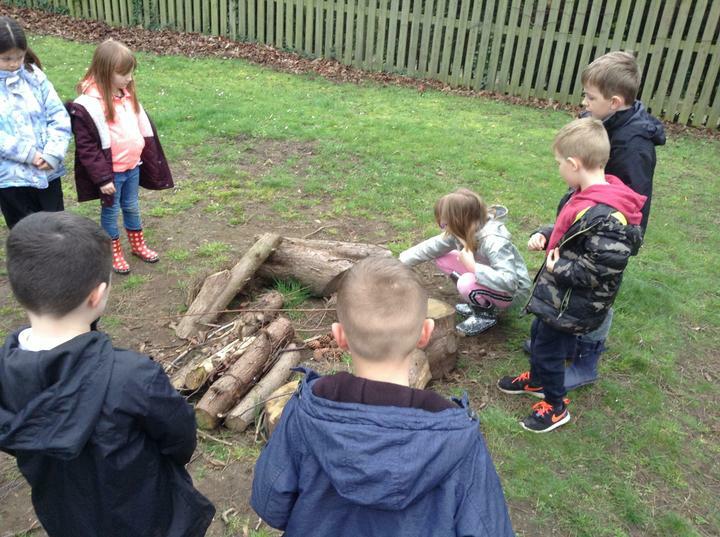 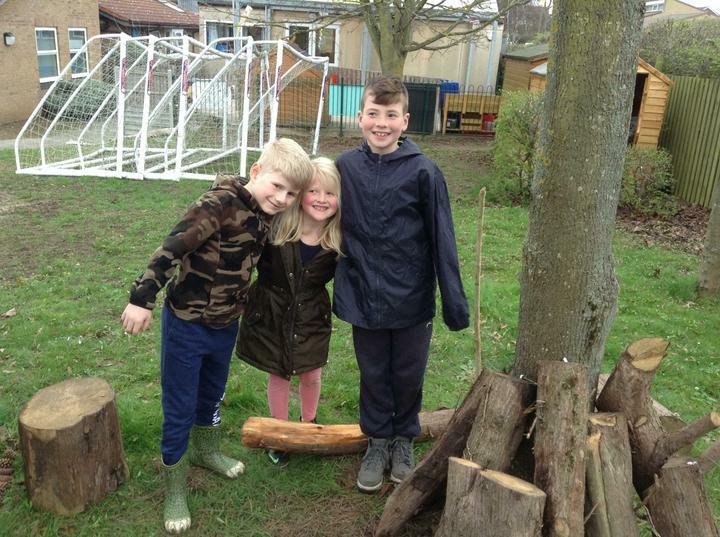 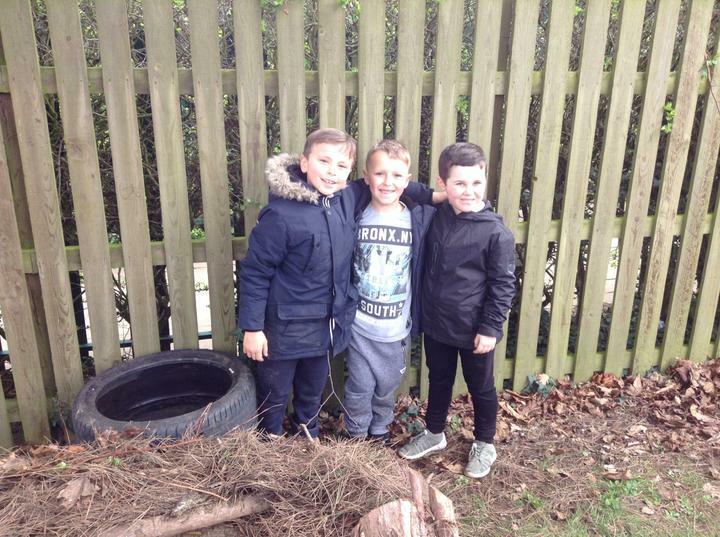 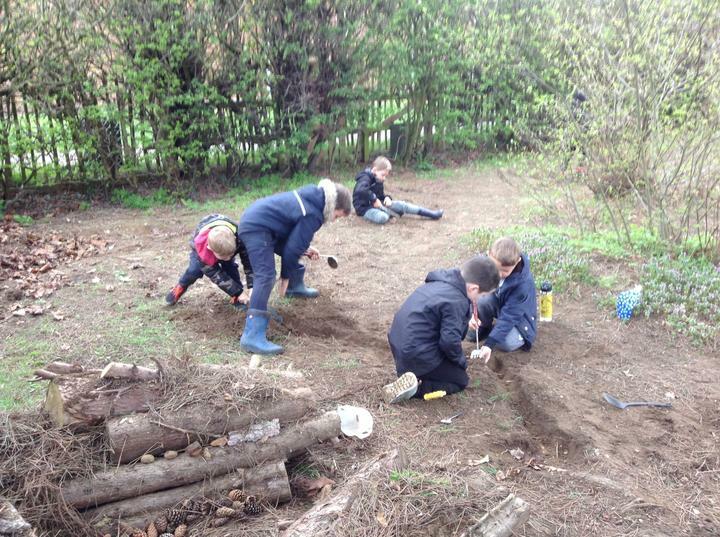 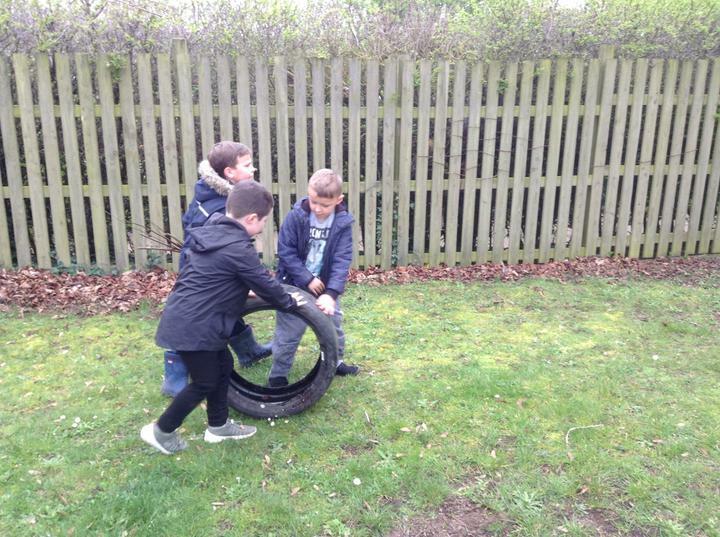 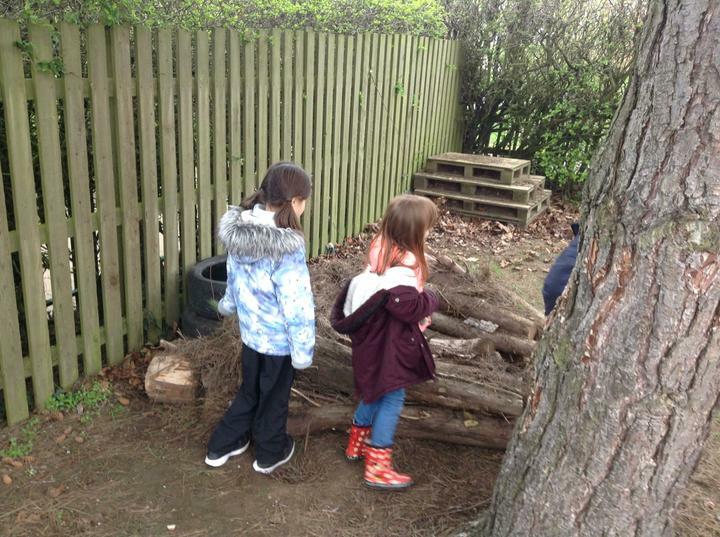 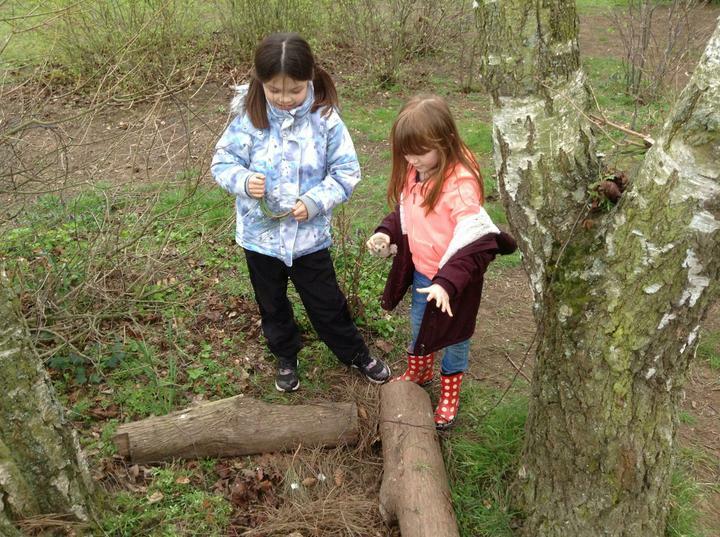 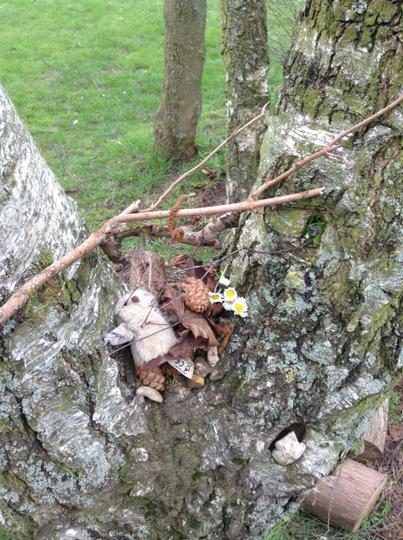 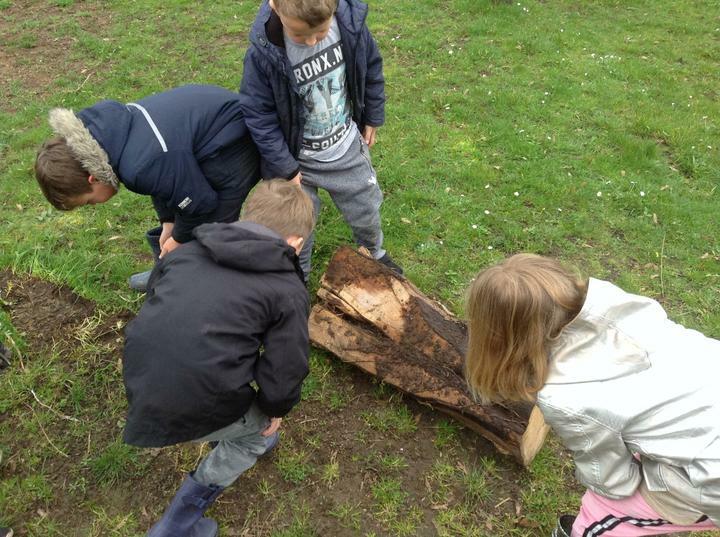 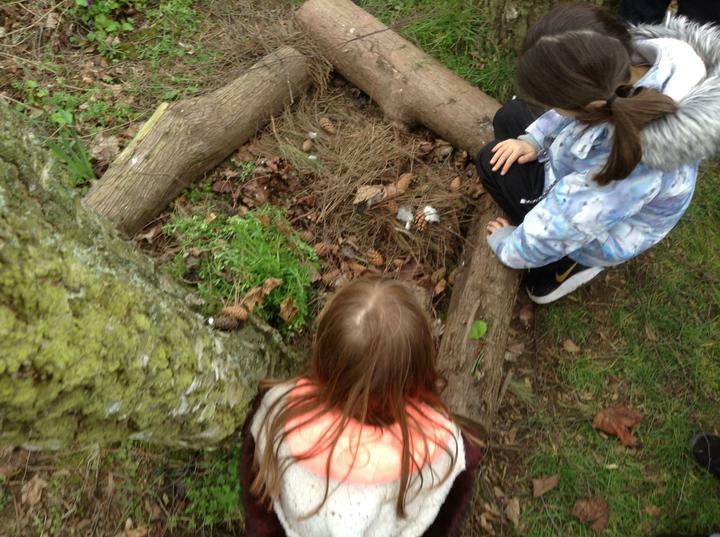 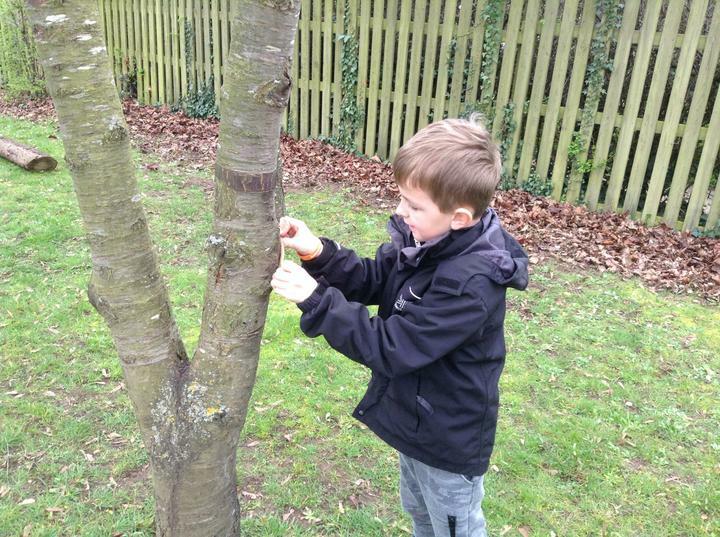 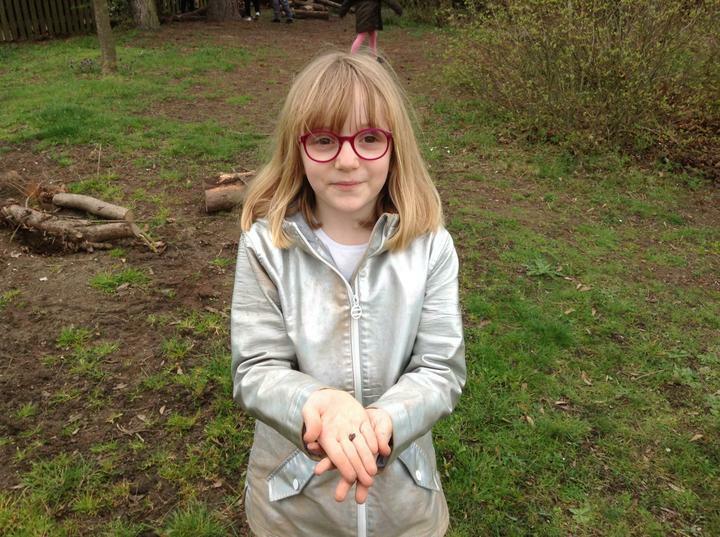 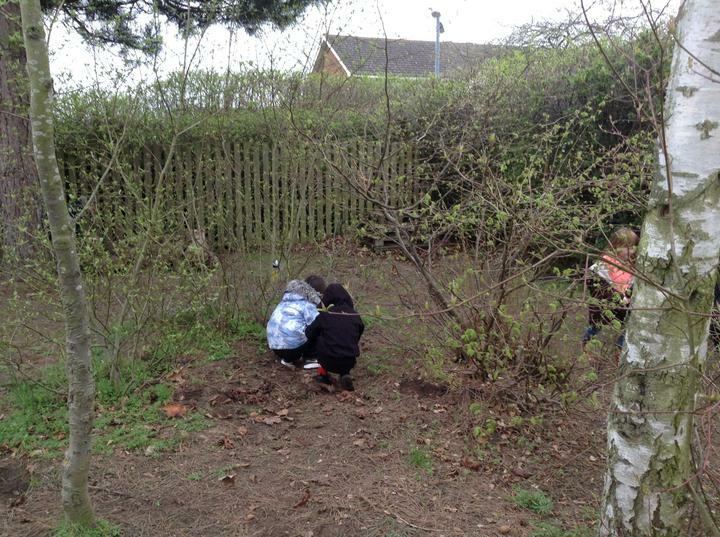 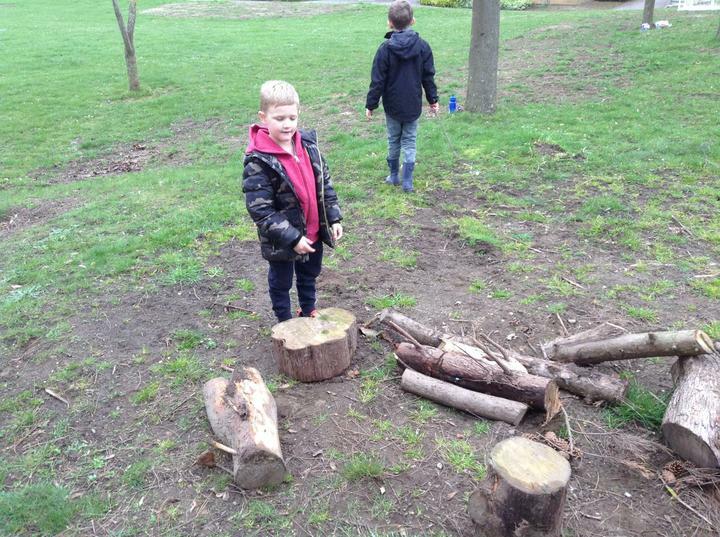 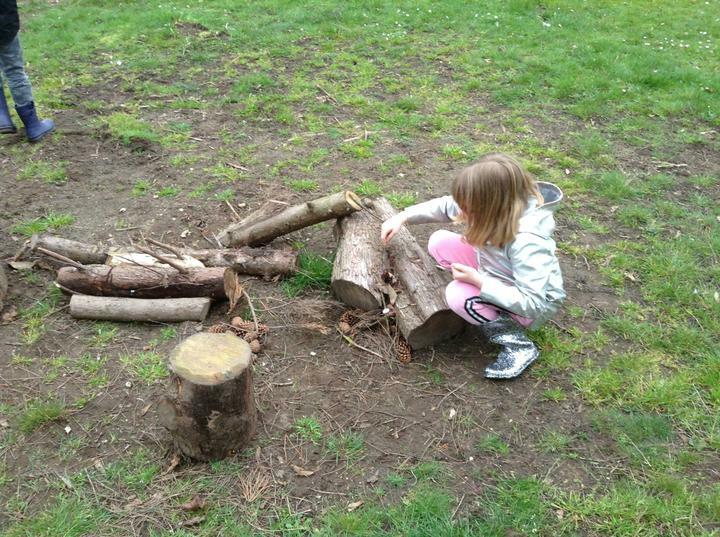 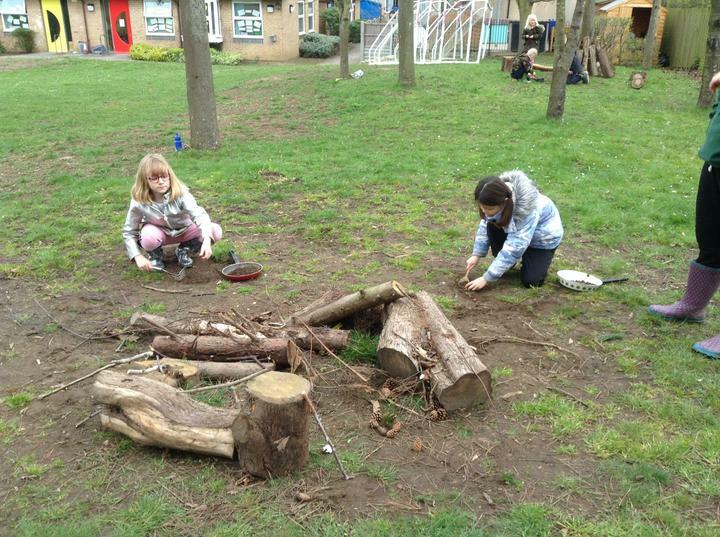 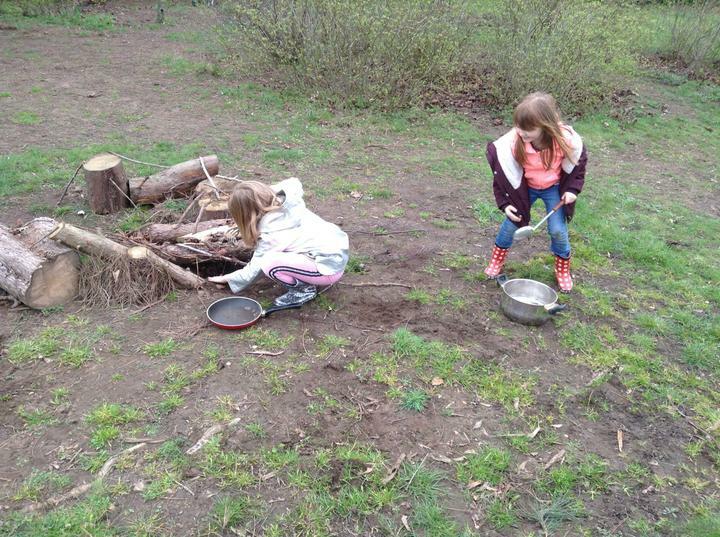 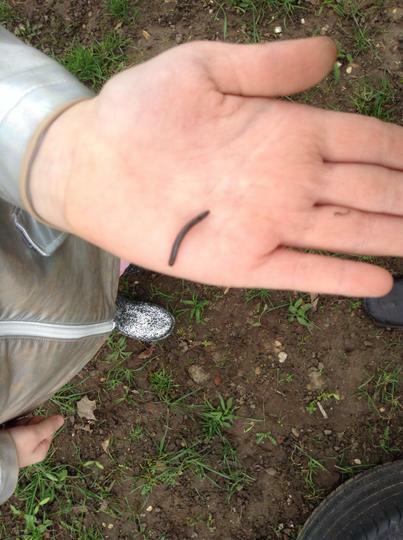 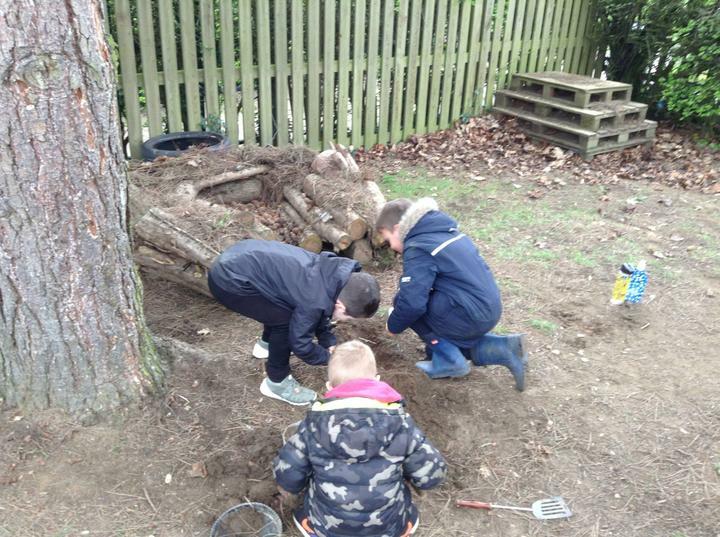 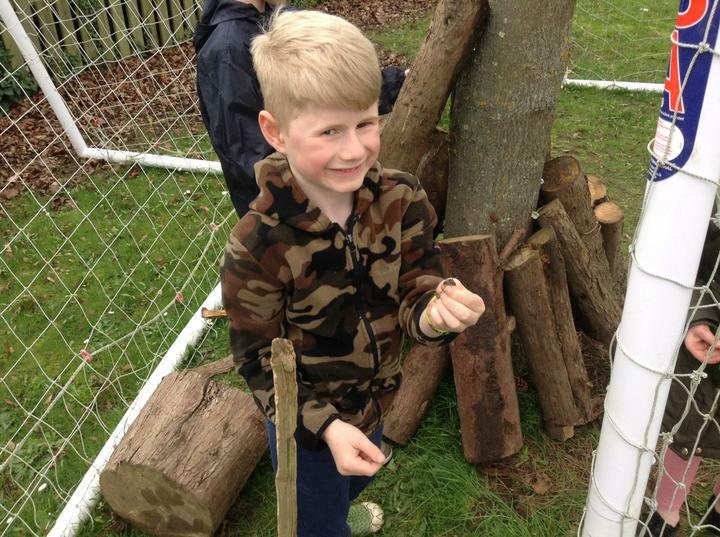 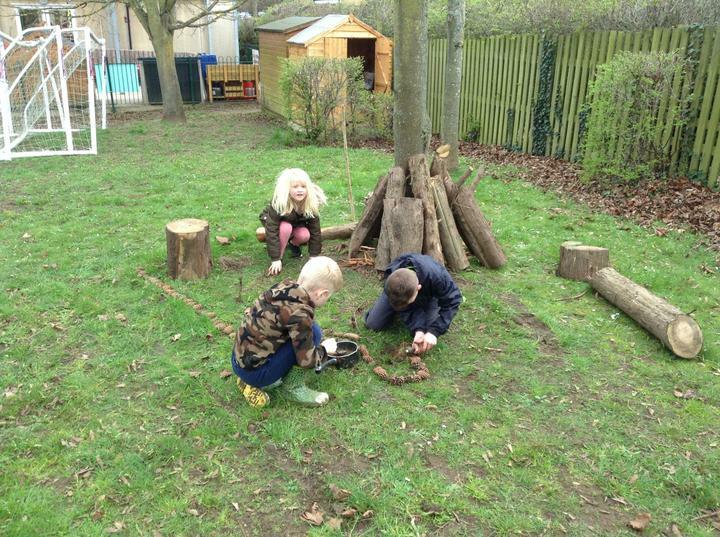 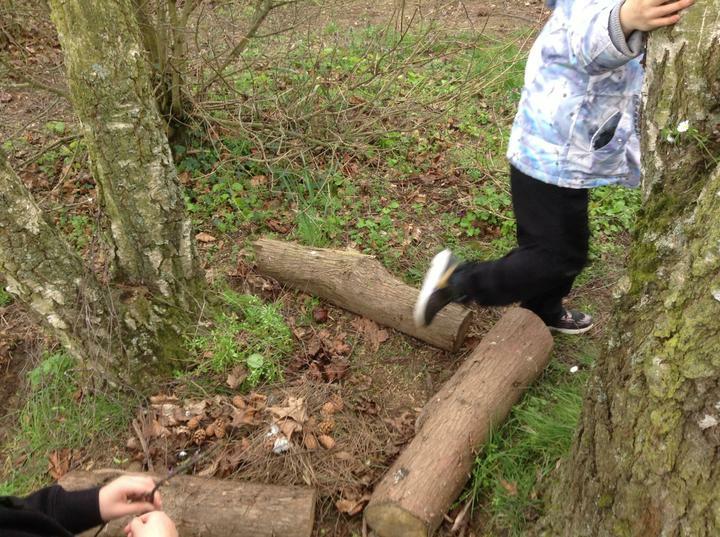 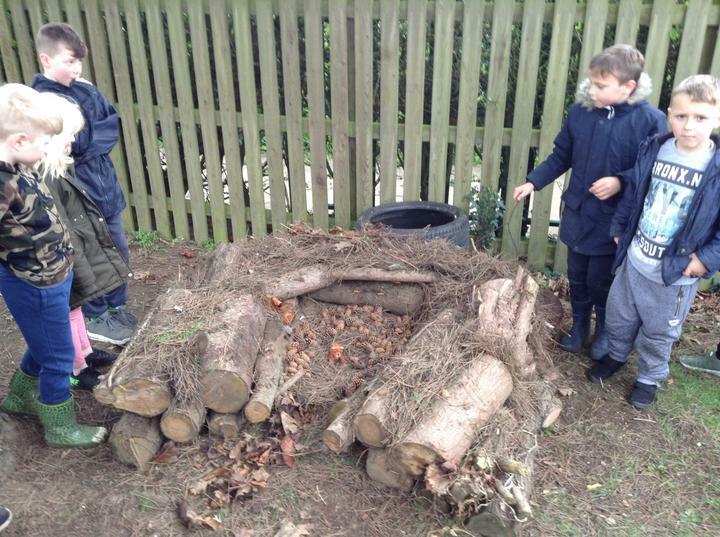 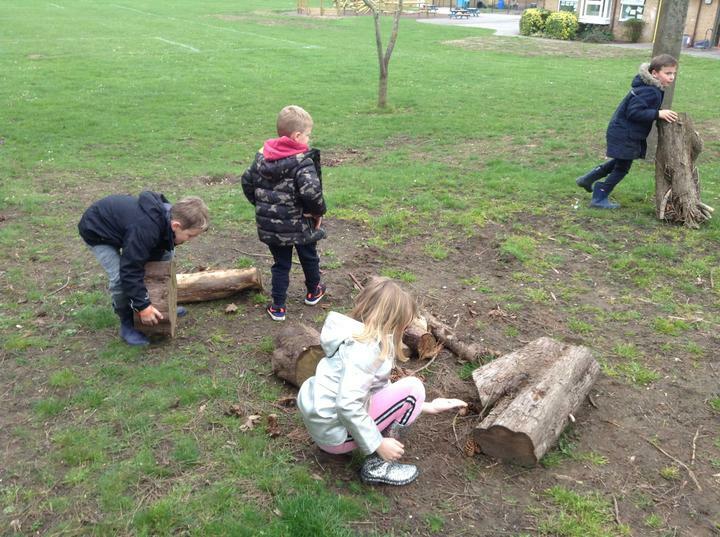 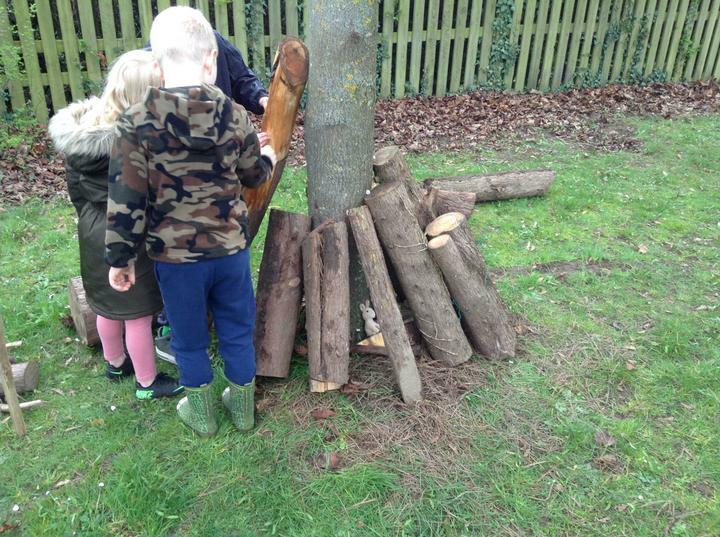 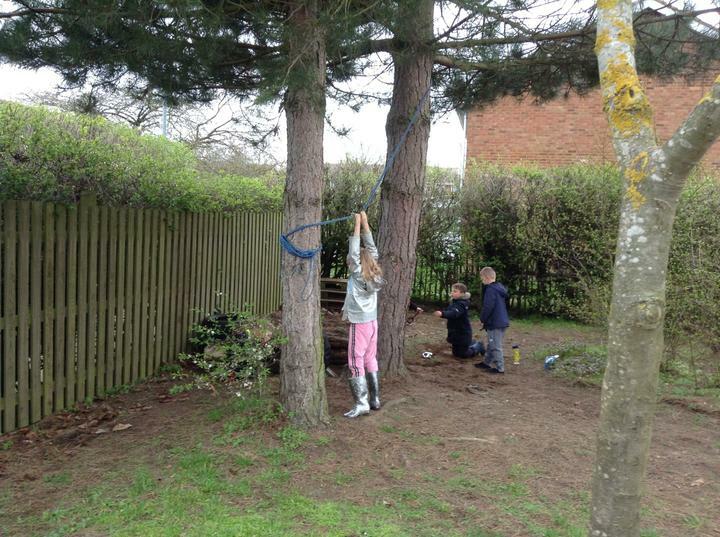 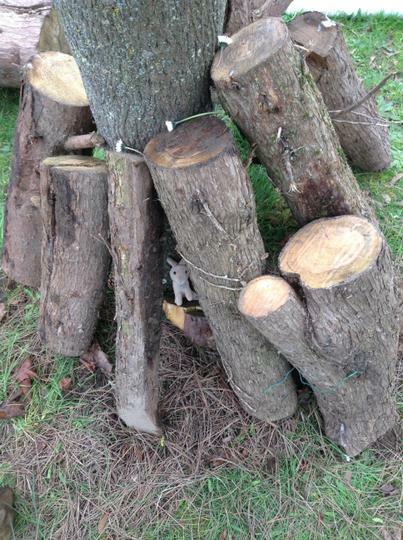 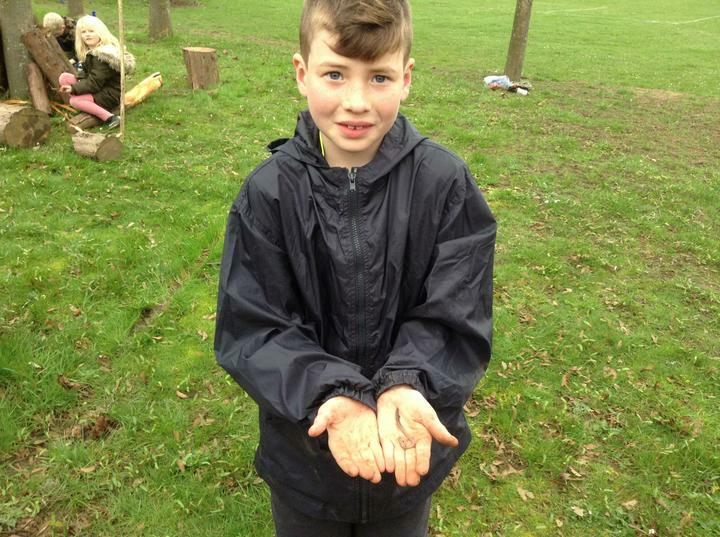 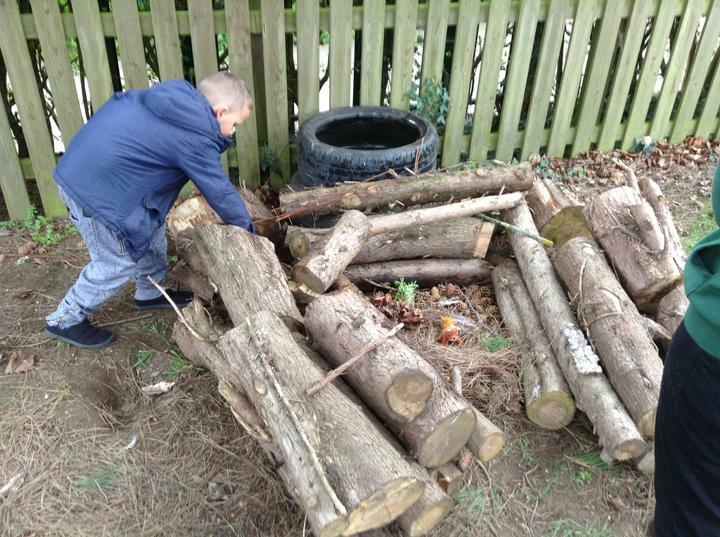 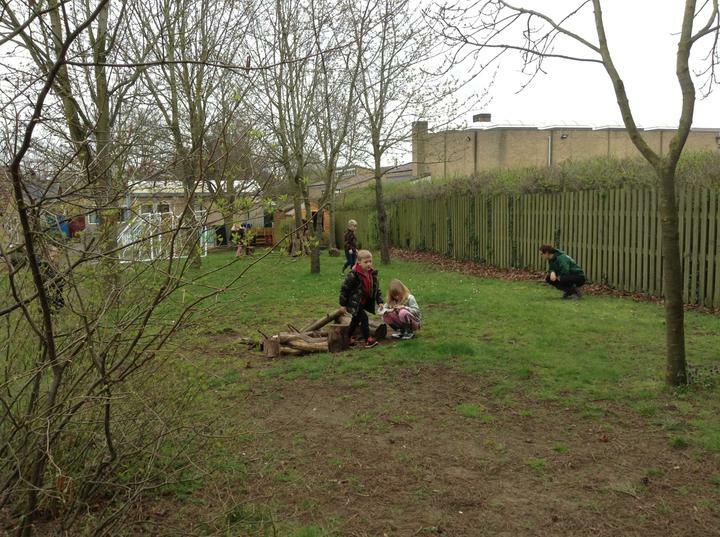 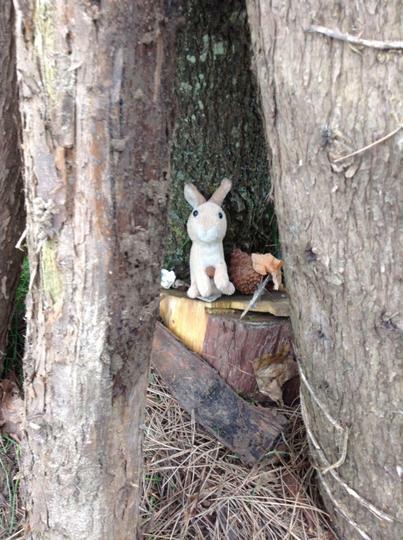 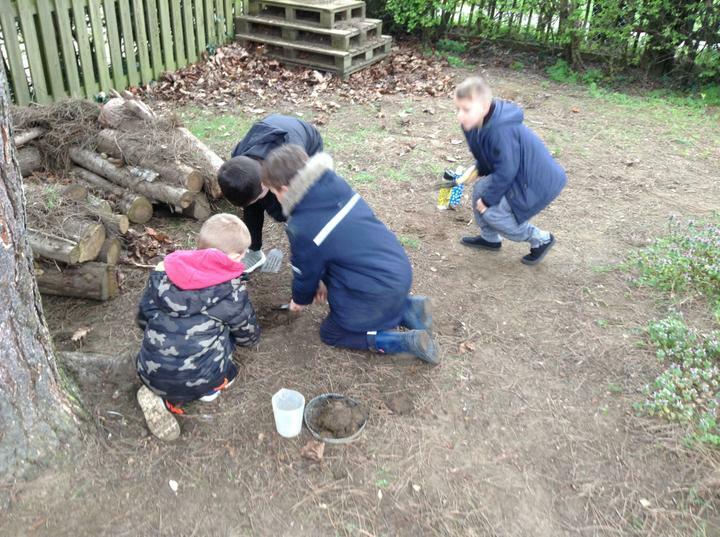 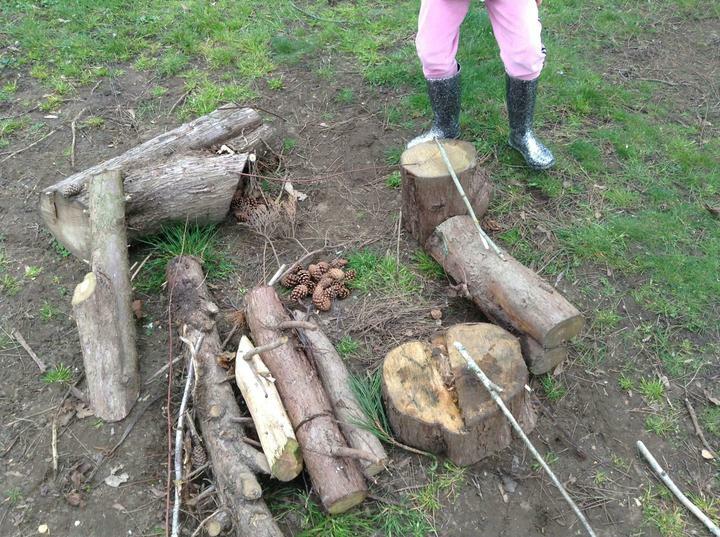 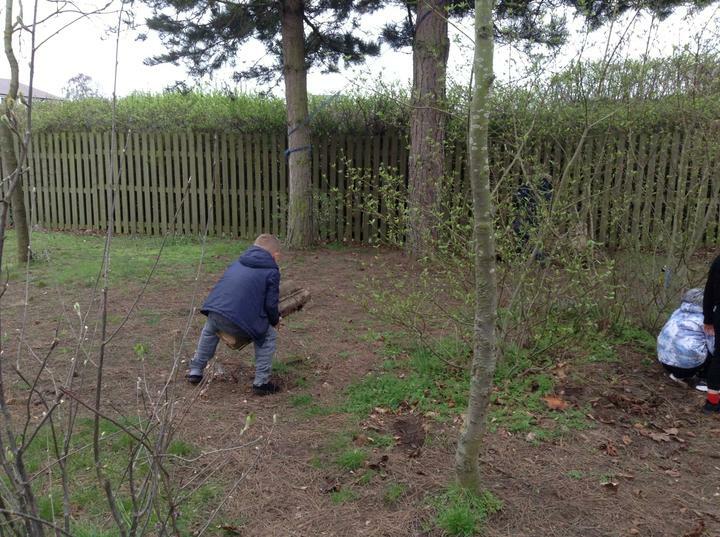 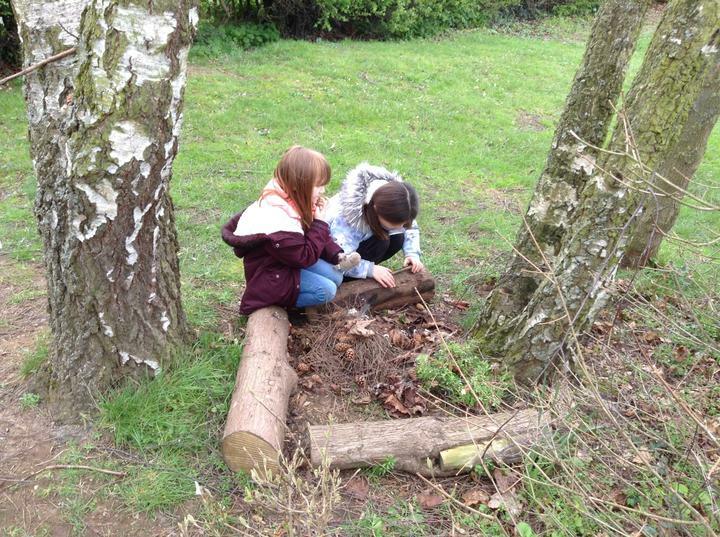 This week at Forest School we have had great fun getting to know different children in the school. 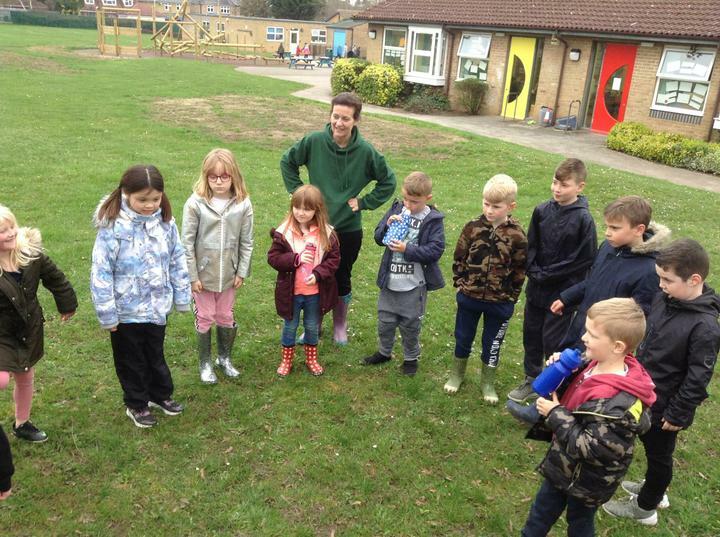 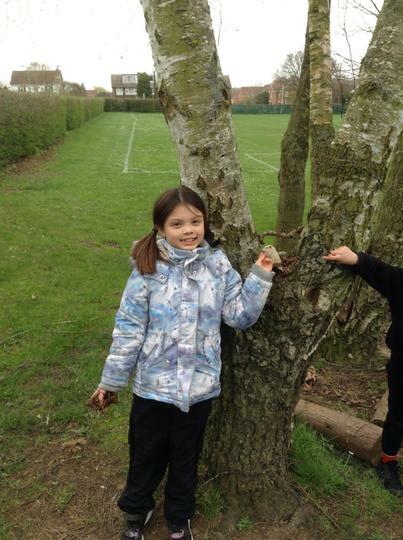 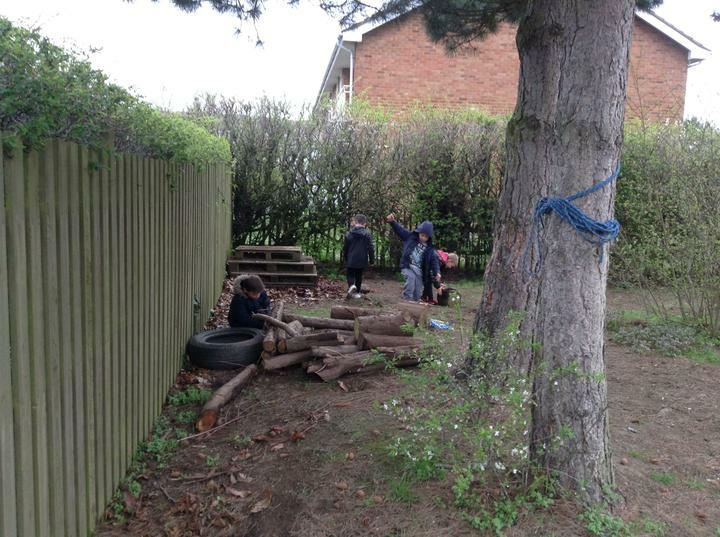 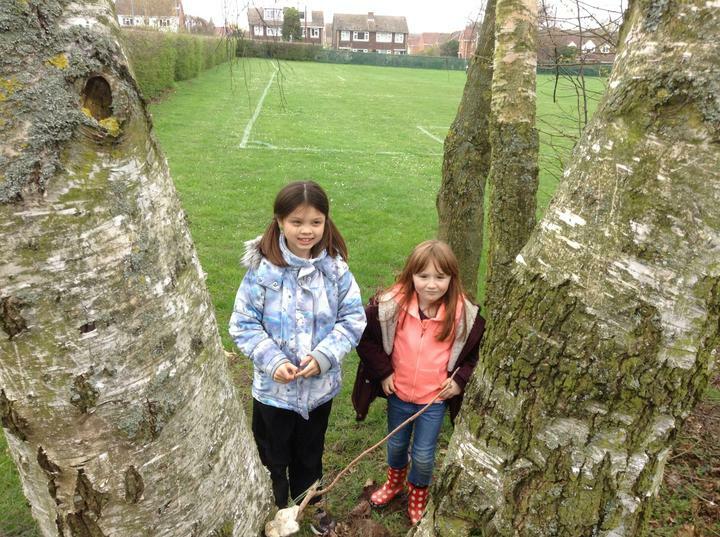 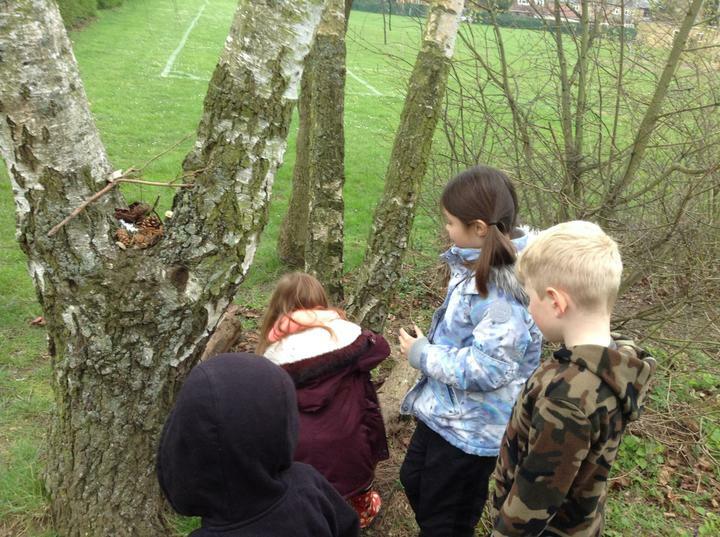 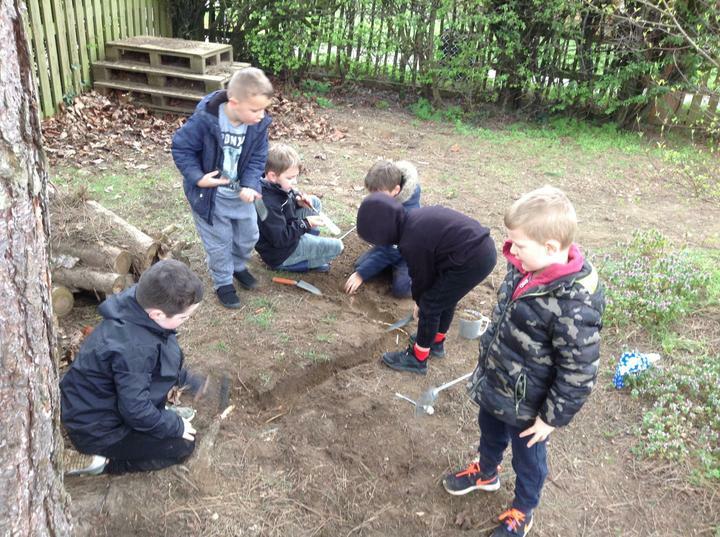 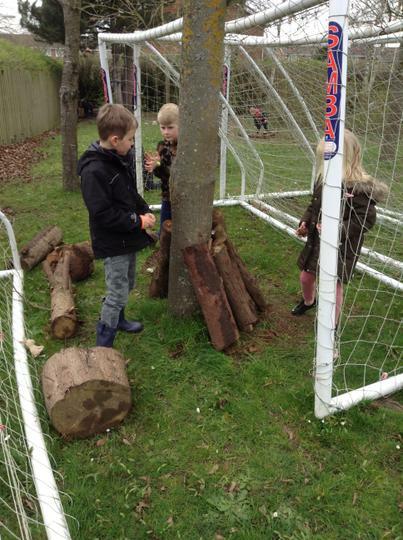 Year 1, 2 and 4 have all been outside for their first session and had a fantastic time. 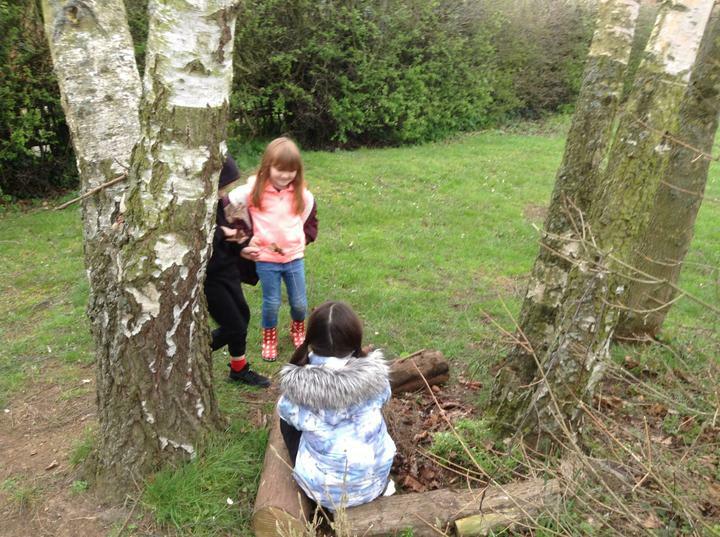 First, we got to know each other by introducing ourselves and telling interesting things. 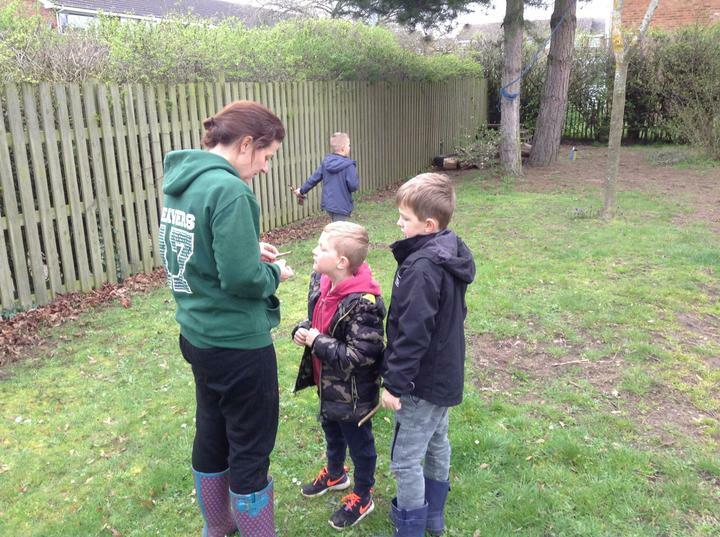 Miss Morris likes cheese sandwiches and giraffes, lots of the children like football, playing video games and pizza! 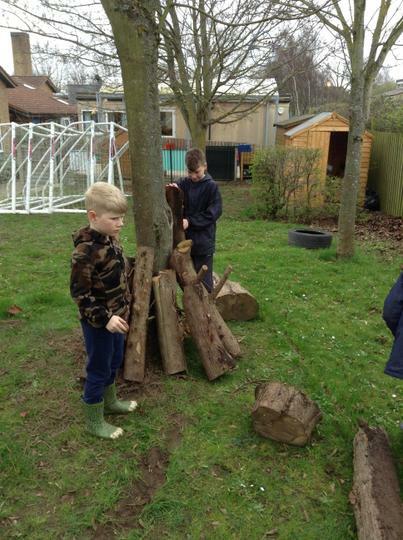 Next, we were given a challenge to build a home for an animal to live in with a team of people we don't usually work with. 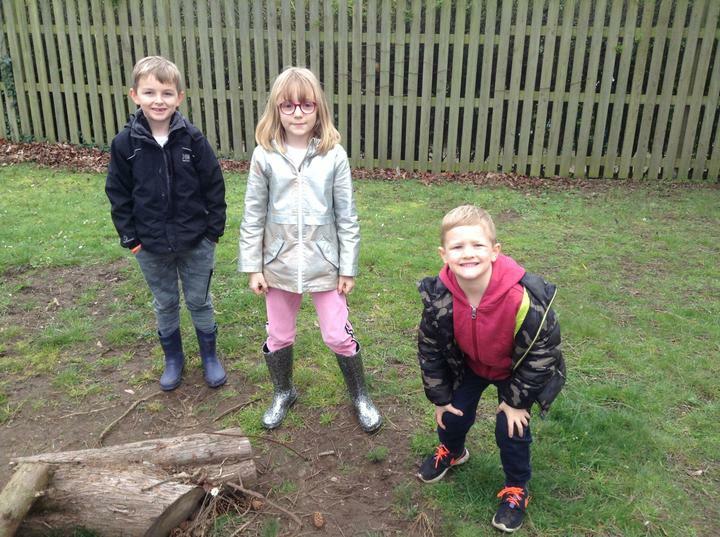 5 house points were up for grabs! 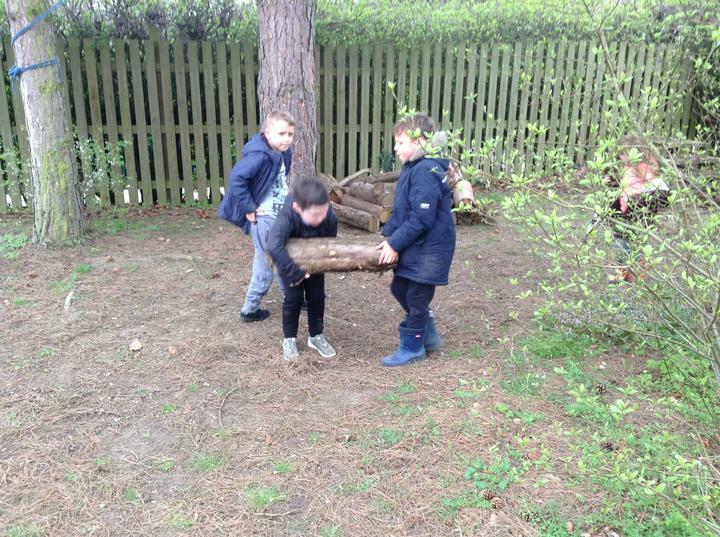 We all worked together and were even helping other teams with the heavy lifting. 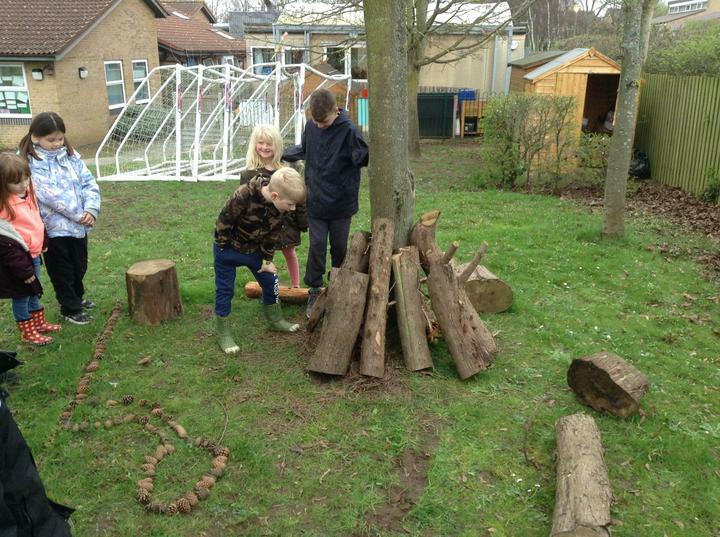 All the groups told us about our designs and we had to say what we liked about what they had done. 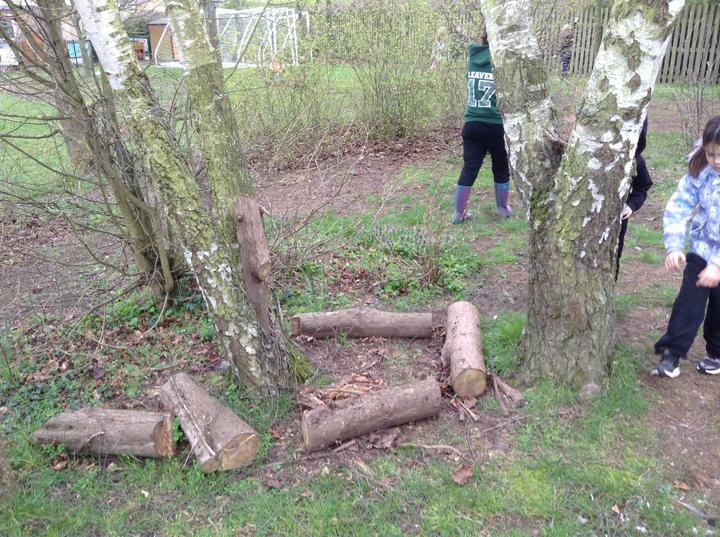 In the end we all got 5 house points for amazing designs and fabulous team work. 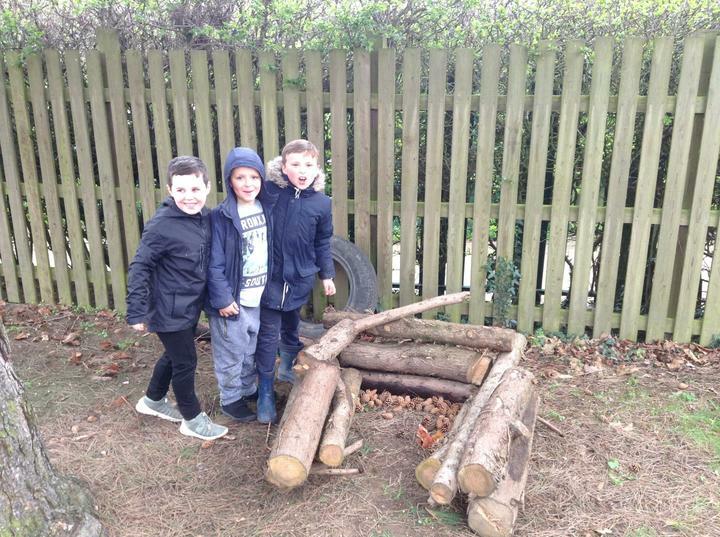 Some children even got bonus house points for sharing their resources with other children and helping them with their designs. 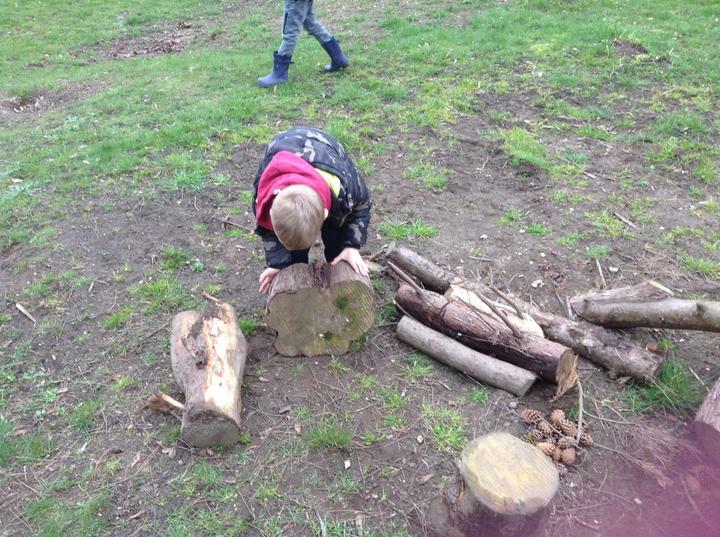 Finally, we shared what we thought other people did really well in the session. 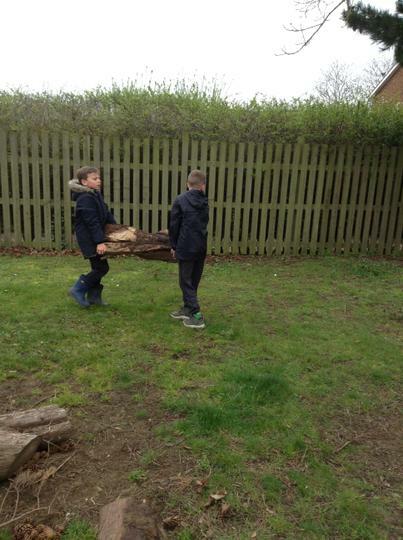 Some people were being really helpful and others were doing good sharing.